Early last October IFUT teamed with SIPTU to formulate and serve a pay claim on behalf of our joint membership in the RCSI. 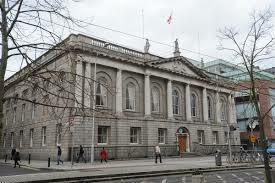 The RCSI is a private institution and is not subject to the terms of the Public Sector Pay Agreement, however, the College, in the past, followed the terms of the national wage agreements and since their collapse in 2008 our members have not enjoyed any pay increases despite the success of the College. Last week we commenced a ballot across the IFUT membership on a proposal that, if accepted, will deliver increases in 3 moieties, the first from the 1st of January 2018, the second from the 1st of October 2018, and the final from the 1st of October 2019, with the agreement to end on the 30th of September 2020. Each of the increases will be 2.5% for those earning under €100k p.a. and 1% for those earning above €100k p.a. It is expected that the result will be known on Tuesday 21st of August.